Probably what I missed a lot during those sunny days scouring my hometown for its ever-enticing street foods was this one and only Bandung’s lontong kari sapi. It is clearly nonexistent here in Jakarta, like lumpiah basah also, and differs itself from the usual lontong sayur or even Padangnese lontong cubadak. Lontong kari sapi when found in street pushcarts may seem too simple and sometimes bland, so you gotta put more soy sauce or sambal into it. 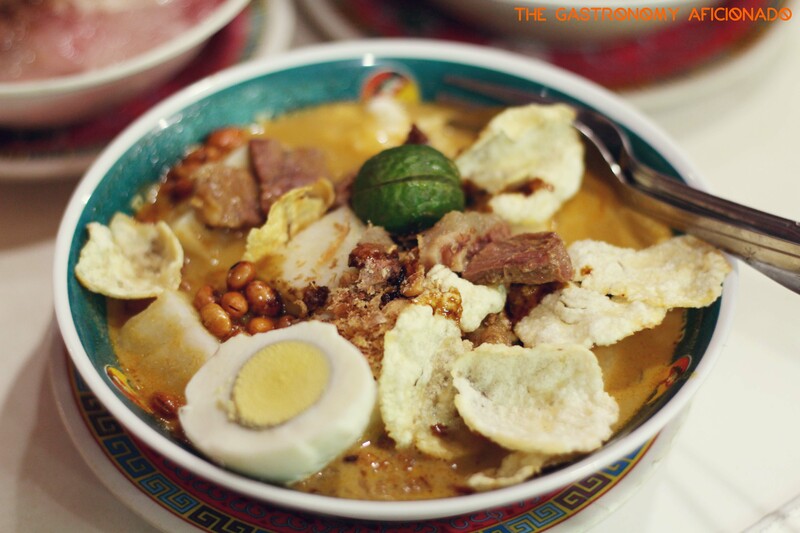 But for the one in Kebon Karet, it’s perfection and gorgeousness on each bowl of it. Savor through the fluffy rice cakes one by one, the juicy yet crisp slices of beef, the crunchiness of fried peanuts and emping, and the most delightful savory and sweet soup ever. A squeeze of leprous lime will do the trick and your lontong kari experience will never be the same again.